If your local mother’s or new parent’s group is interested in continuing to meet as your children get older, forming a playgroup is a great option. Often parents will find it difficult to continue to meet at cafes or in similar environments once children are older and more active. Playgroup provides a dedicated space for children to play, allowing parents to continue to connect. If you don’t have a playgroup close to home, why not consider starting one? Not only is this more convenient for local parents, it also helps bring communities together. 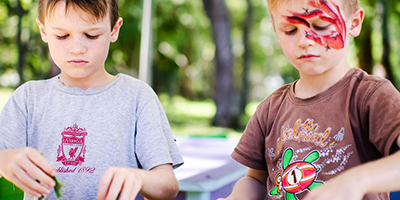 Playgroup NSW provides a range of special interest playgroups including culturally specific playgroups, grandparent’s playgroups, LGBTI playgroups and disability-focused playgroups. If you’re looking for a playgroup with a special interest or focus, we can help you start one. Interested in starting a playgroup? Playgroup NSW can help you get started. To read more about each of these steps, read our guide on How to Start a Playgroup. Playgroup NSW offers a membership package with insurance coverage designed specifically for playgroups.